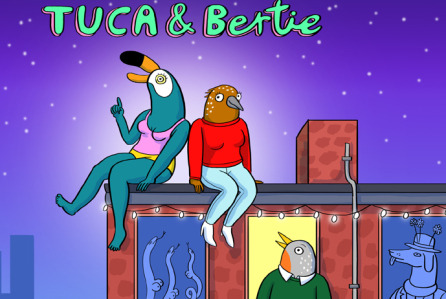 In Tuca and Bertie, Haddish will play a toucan. Tiffany Haddish will star in Netflix's new animated series Tuca and Bertie, according the The Hollywood Reporter. The series comes from Bojack Horseman supervising producer Lisa Hanawalt. Bojack creator Raphael Bob-Waksberg will also executive produce the show, alongside Noel Bright and Steven A. Cohen, also from the original Netflix series, and Haddish herself. The show centers on a "friendship between two 30-year-old bird women who live in the same apartment building: Tuca (Haddish), a cocky-care-free toucan, and Bertie, an anxious, day-dreaming songbird," who has yet to be cast. The animation is similar to Bojack, which often uses birds in some of its best flyaway visual gags. The 10-episode series has not announced any details regarding streaming dates.